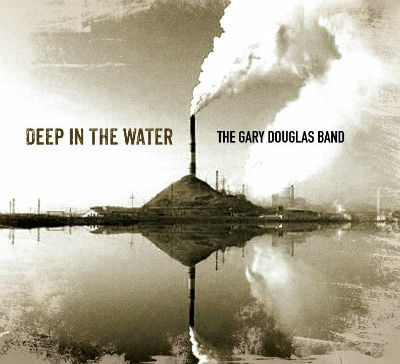 Deep in the Water is an LP from The Gary Douglas band, slated for release next month. It features 11 distinct tracks and is packed with some of the best Americana rock n’roll you’ll ever hear. The album roars right out of the gates with the opening song, River Road, a fast paced, full sounding and passionately performed track that stylistically could be comparable to some of Bruce Springsteen’s classic songs like Thunder Road. Yes, it’s that good, too. Not all the songs on Deep in the Water have the same feel though. There’s quite a bit of versatility here. Devil in Her Soul and Nothing Ever Goes as Planned both have much more of a Southern, soulful vibe. Actually, a good description of this band’s sound is that it combines the best of Southern rock with rust belt / working class rock n’ roll. Devil in Her Soul in particular has a very haunting tone and is put together expertly. Every detail is nailed down. Musically, I think it might be the most impressive on the album. It’s tough to say though because from a technical perspective these guys are clearly pros. I admit I’ve never heard of The Gary Douglas Band, but this is a major label quality album release (which may not mean as much anymore given the state of pop music.) Normally I don’t like to give someone “too good” of a music review because it comes off kind of phony. However, this recording is pretty much flawless and doesn’t leave any room for nitpicking. It succeeds at what it’s trying to be and even surpasses it.